Are Segway’s safe for seniors? Absolutely yes! Segway’s are definitely safe for seniors. Segway's are safe for people between the ages of 12 and 75. There are many thousands of people over the age of 65 that own Segway’s and use them every day. 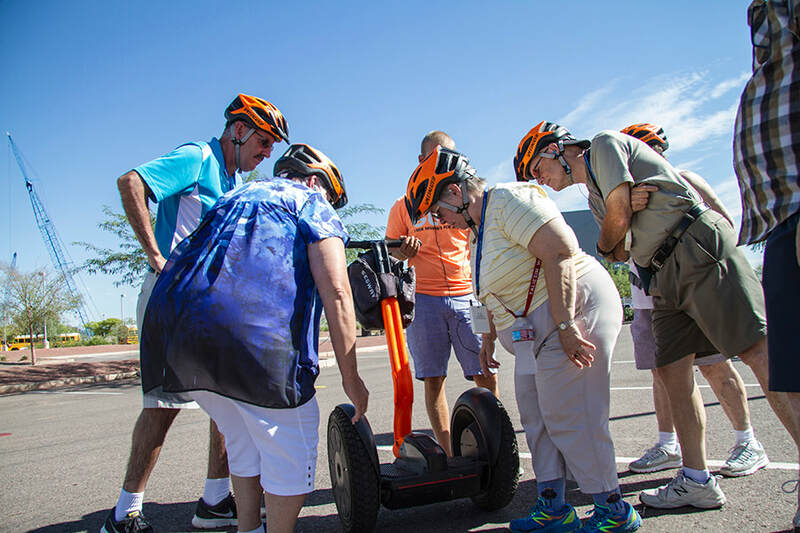 There are a few things to consider when asking yourself: Are Segway’s safe for seniors? QUESTION #1: How physically fit is the senior that will be riding the Segway? 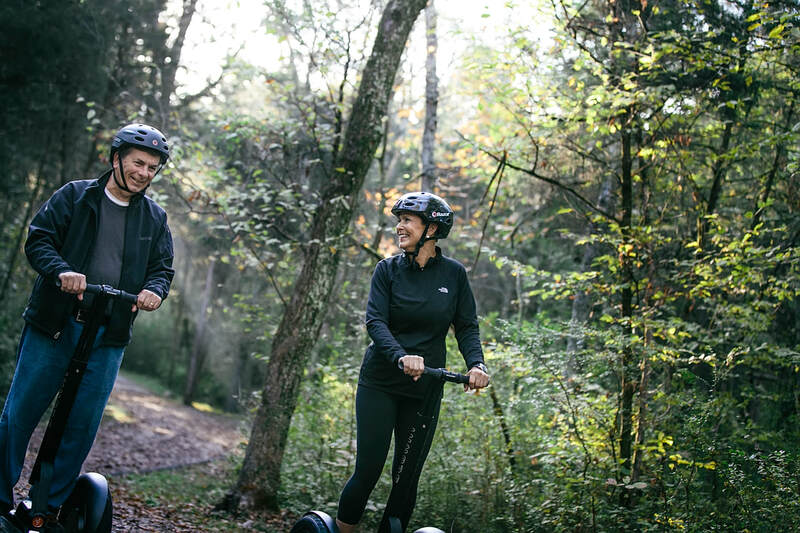 ​We have found after many years in the Segway business, the physical fitness of people between the ages of 65 and 75 varies greatly between people. It’s very hard to predict whether it’s safe for you to ride a Segway without answering a few questions first. Question #2: Are you able to walk up a set of stairs without the hand railing? When asking “Are Segway’s safe for seniors? It’s imperative have the answer to this prior question first. It’s important for the senior citizen in question to be able to step on and off the machine without assistance. That is the reason why we always ask the question are you able to walk up and down the stairs without a hand railing? In an effort to answer the question: Are Segway’s safe for seniors? If you are considering purchasing a Segway and you are not able to walk up and down a set of stairs without the hand railing, you can still purchase and safely operate a Segway. You just need to work out a standardize strategy to step on and off of the Segway. What if you can’t walk up a set of stairs without the hand railing? It’s Okay! You can still ride safely. You’ll just need to mount the machine differently. You can do this by leaning the machine up against a wall, light post, building, side of parked vehicle, or anything that will act as a firm immovable foundation to keep you steady when mounting the Segway. Simply turn the machine on, then set it into balance mode, place your hands on the handlebars, and lean up against the wall while the handlebars are touching the wall and use the wall to steady yourself out like a hand railing would steady you instead of using the handlebars to hold you steady when mounting the Segway. The reason for this is because you don’t want to turn the Segway when mounting it. Question #3: Can you stand on your feet for prolonged periods of time? When asking the question are Segway’s safe for seniors? It’s a good idea to ask the senior in question whether or not they’re able to stand on their feet for a prolonged period of time. Some senior citizens as they age have a difficult time standing on their feet for prolonged periods of time. You can counteract this by putting comfort pads on the Segway which create more cushioning and will decrease the strain on the feet. If you are a senior citizen and you are not able to stand on your feet for prolonged periods of time and you are wondering: Are Segway’s Safe For Seniors? Of course you can still safely operate a Segway, but you may have to ride for shorter periods of time if you normally experience discomfort in your feet from standing too long. Question #3: Are you able to scan terrain and identify whether it is safe to operate a Segway on that terrain? So, Are Segway’s safe for seniors? ​We believe with 100% confidence after over 13 years as a Segway dealership and Segway tour company that yes, Segway's are safe for seniors. Not only are they safe for seniors, but they are great for seniors! The Segway is a perfect machine for a person that wants to travel distances that are too far to walk but too short to drive. There have been several instances where senior citizens have purchased one or more Segway’s from our dealership because they want to do grocery runs. We had a customer that lives in a condo that is about a half of a mile from their grocery store; so the husband and wife duo purchased 2 Segway’s PT’s to do grocery runs together. Often times seniors have more disposable income then people in their 20s or 30s and some begin to experience fatigue when walking longer distances, so the Segway is very appealing to senior citizens because they have the disposable income to purchase a top of the line product. Because of this, we hear this question a lot: Are Segway’s Safe for Seniors? We recommend watching some videos on YouTube of people riding Segway’s. We also recommend participating on a Segway tour if you have never ridden a Segway before. This would give you an opportunity to get familiar with the Segway and it will help you answer the question for yourself. Are Segways Safe For Seniors Yes!